NEW YORK — Two studies featuring research from Weill Cornell Medical College have uncovered surprising details about the complex process that leads to the flow of neurotransmitters between brain neurons — a dance of chemical messages so delicate that missteps often lead to neurological dysfunction. A recent Nature Neuroscience study led by Dr. Timothy Ryan, professor of biochemistry at Weill Cornell Medical College, demonstrates that individual neurons somehow control the speed by which they recycle synaptic vesicles that store neurotransmitters before they are released. No one had expected that neurons would have such a powerful “gas pedal,” says Dr. Ryan. Dr. Ryan is also contributing author of a second, Yale University–led study published today in the online edition of Neuron. It shows that the common understanding about how proteins help form these key storage vesicles is flawed. The two findings help refine science’s understanding of the biomechanics that control neurotransmission at the synaptic gap between brain neurons, Dr. Ryan says. Both studies focus on synaptic vesicles, which are bubble-like structures that store neurotransmitters within a bi-layer of fatty membranes at the synaptic junction. The Nature Neuroscience study was designed to look at what controlled the speed of the vesicle recovery process. This speed, which dictates the availability of vesicles, has long been considered to be one of the limits as to how fast neurons can continuously communicate, especially in high-demand situations, Dr. Ryan says. To study the speed of this recovery process, senior author Dr. Ryan and first author Moritz Armbruster, a Rockefeller University graduate student who worked in Dr. Ryan’s laboratory, used a tool that took optical recordings of the speed of vesicle recycling across 84 different neurons. 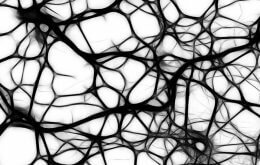 They discovered something quite unexpected — an individual neuron retrieves all of its synaptic vesicles at pretty much the same speed. “It is as if the neuron is following orders from a cell-wide central gas pedal,” Dr. Ryan says. They also found that while each cell had its own speed at recovering the vesicles, that rate varied four-fold across the different neurons — even if the neurons were performing identical functions, such as secreting the same neurotransmitter. The Neuron study looked at proteins involved in one phase of the recovery process, the separating and pinching off of the membrane of the synaptic vesicle from the membrane of the neuronal cell. It was led by Dr. Pietro De Camilli, a professor of cell biology and neurobiology at Yale University and a Howard Hughes Medical Institute investigator, and his colleague Dr. Shawn Ferguson, currently an assistant professor of cell biology also at Yale. Based on studies in the 1980s, researchers had believed that a protein called dynamin, which comes in three forms (1, 2 and 3), was critical to this “membrane fission” step in the formation of vesicles. In 2007, the Yale researchers tested whether dynamin 1, which represents 90 percent of all dynamin in the brain, was, as believed, the key protein involved in synaptic vesicle membrane fission. They generated a mouse that lacked the protein but found it produced only subtle differences in the fission process. This surprising discovery was published in Science. In the new study, the research team, which included Drs. Ryan, Mr. Armbruster and others, looked at what happened when both dynamin 1 and dynamin 3, which makes up 99 percent of dynamin protein, are missing. They used the same optical methods employed in the Nature Neuroscience study to examine the speed of the synaptic vesicle retrieval process. Dynamin is a protein known to play a critical role in synaptic vesicle retrieval. The observation that synaptic transmission can still occur, albeit in a much-impaired way, in the absence of the overwhelming majority of dynamin reveals a remarkable and unexpected plasticity of nerve terminals, says Dr. De Camilli. The Nature Neuroscience study was funded by grants from the National Institutes of Health and the David Rockefeller Graduate Study of the Rockefeller University. The Neuron study was supported in part by the G. Harold and Leila Y. Mathers Charitable Foundation, National Institutes of Health grants, and the W.M. Keck Foundation. Co-authors are, from Yale University School of Medicine: Andrea Raimondi, Shawn M. Ferguson, Xuelin Lou, Summer Paradise, Silvia Giovedi, Mirko Messa, Nao Kono, Junko Takasaki and Valentina Cappello; and Eileen O’Toole from the University of Colorado at Boulder.